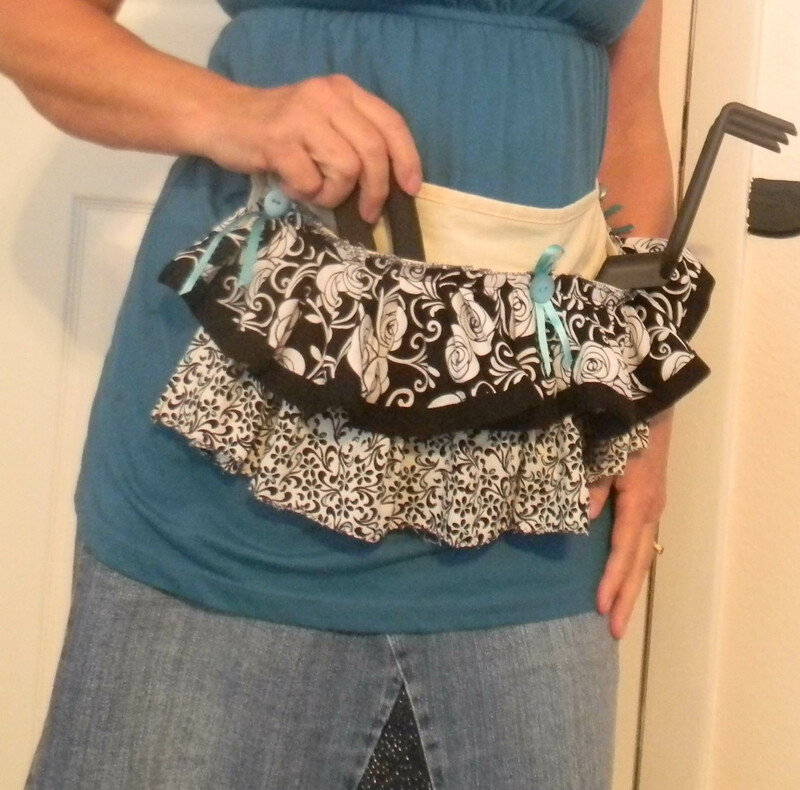 A special friend, who knows I garden a lot, gave me the cutest upcycled tool belt for gardening. 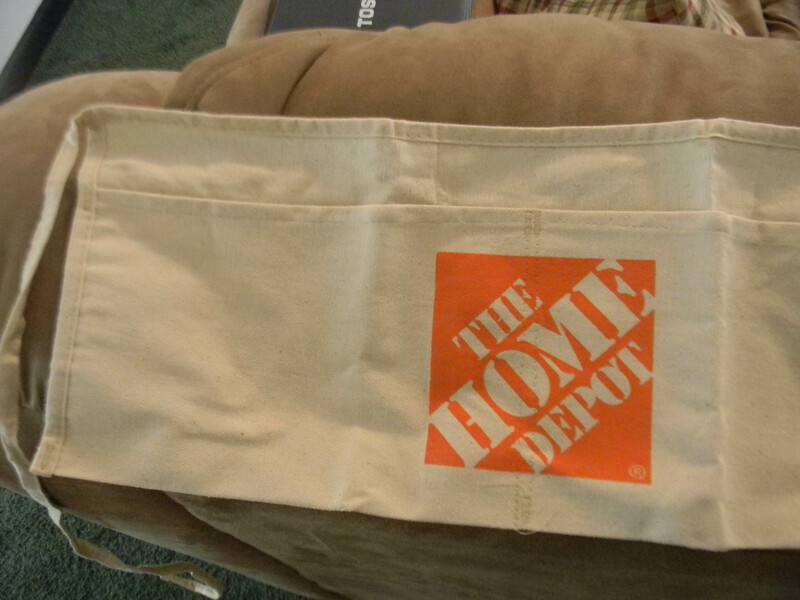 I fell in love with it and of course went right out to purchase some of those fabric aprons at Home Depot to sew my own. 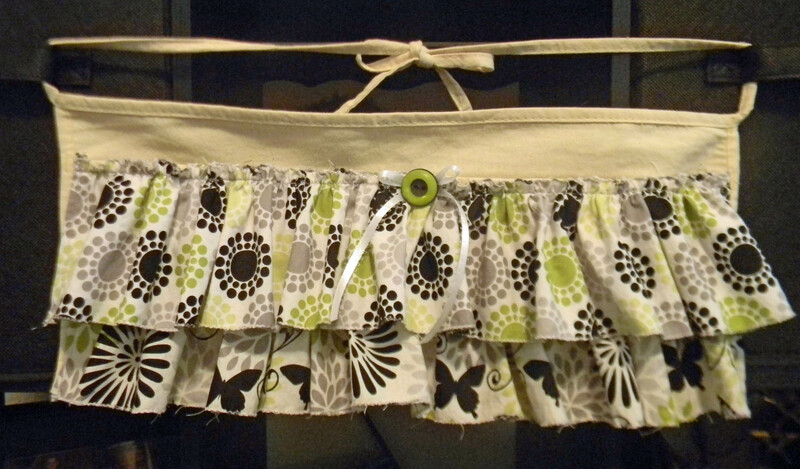 I was pleasantly surprised to find out these little fabric aprons are only $.77. That’s right $.77, plus tax. The first one I sewed I rummaged through my fabrics and found 2 blacks, one with a little aqua. You only need 1/8 yard of 2 fabrics. 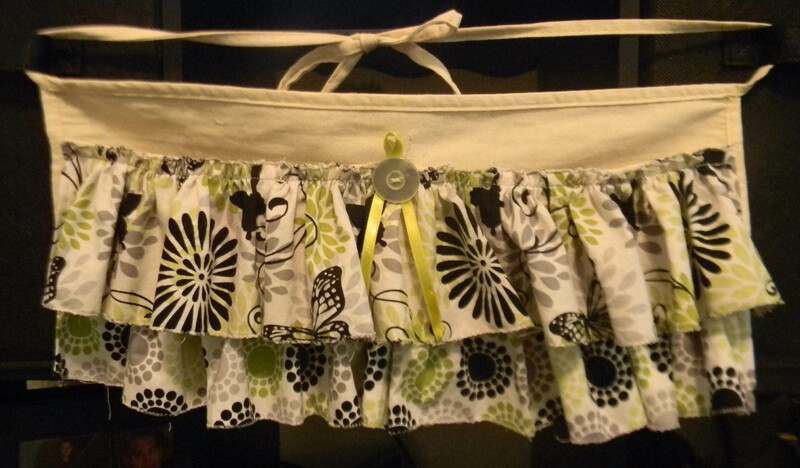 You could put a 3rd fabric ruffle if you wanted but I would make the ruffles smaller than the 4 1/2″ I used. 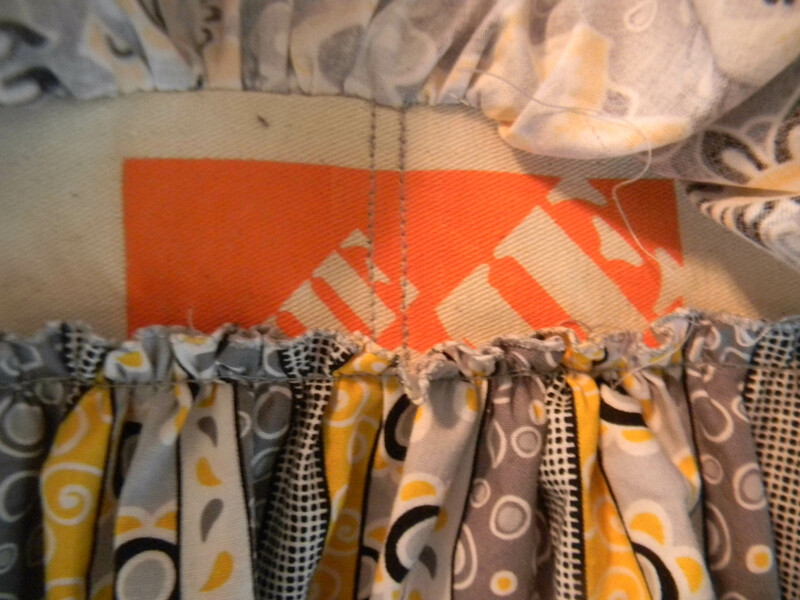 The first thing I did was to take out the sewing on center of the apron. Taking out this seam is enough to sew the ruffles on. I washed the fabric and then cut the edges with a rotary cutter to make them clean. I then finished the edges by zigzagging the fabric at the top and bottom. 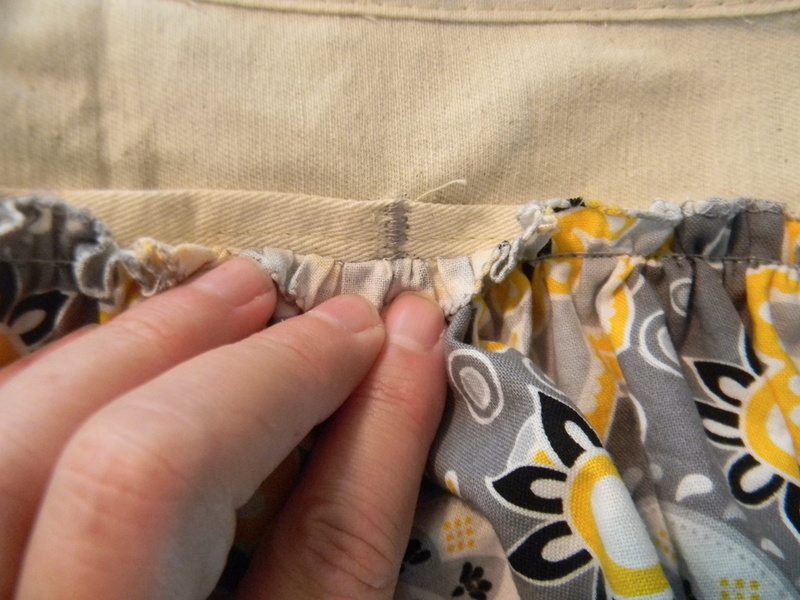 You could also finish the edges by putting in a hem or serge if you wanted. You can then either gather the ruffles or pleat them onto the apron (I used the full 44″ width of the fabric for the ruffle). I pleated the first ruffle on my black and white one. 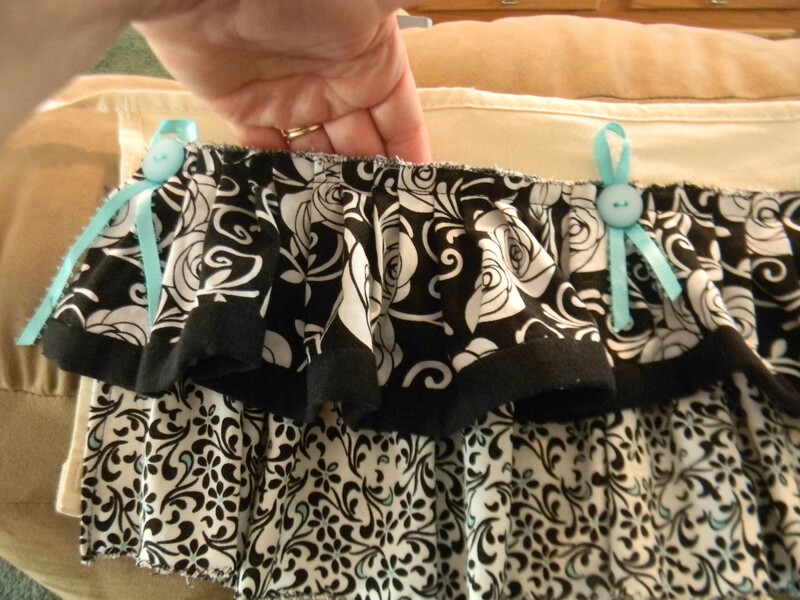 I placed the 2nd ruffle 1 1/2″ below the first one. After the ruffles are sewn I sewed the center seam again but did not sew over the ruffles. 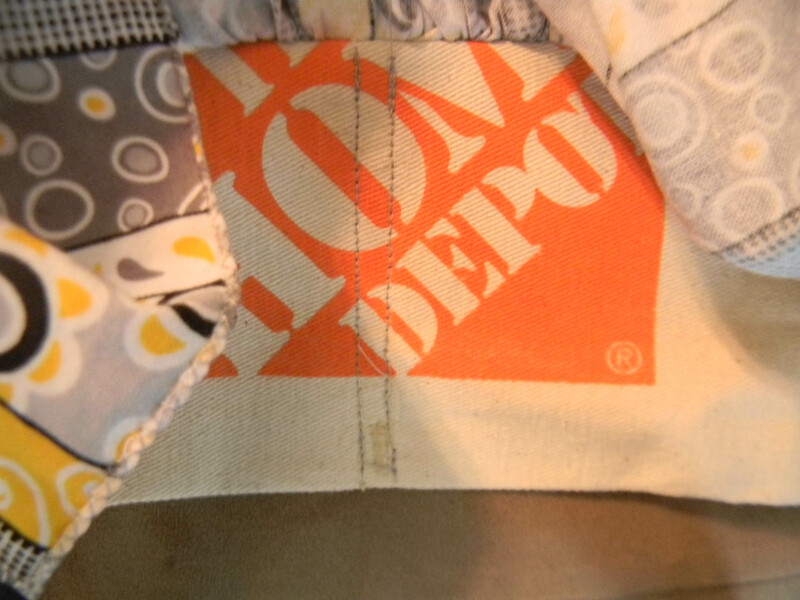 You could also sew additional seams to divide the pockets into smaller ones if you wanted. That’s it. Then you can sew any buttons, charms, ribbon or lace you like. I sewed my buttons on by hand. These turned out so cute and I will have them on my Facebook site “Handmade for Bibles“. For a donation you can own one for yourself or for a gift. These would be great for a preschool teacher, someone who cleans houses or a gardener. 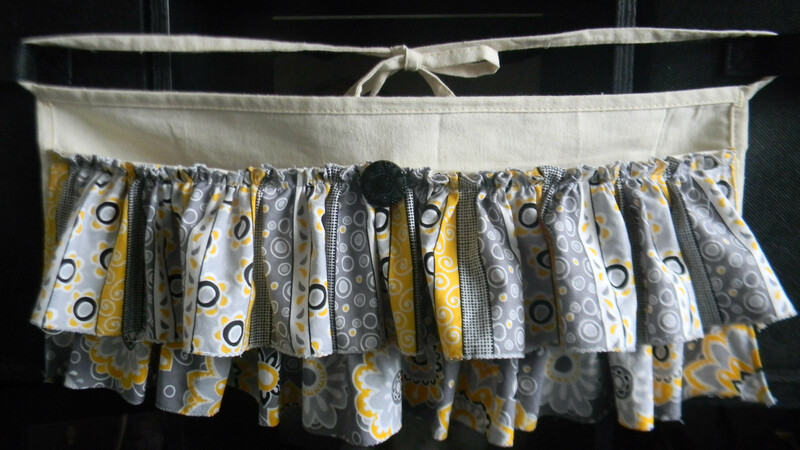 This entry was posted in Posts, Sewing and tagged sewing, tool apron, upcycled tool apron. Bookmark the permalink. Fun to make, quick, easy and inexpensive.